Looking to jumpstart your mobile website development? Check out the Web Experience Toolkit (WET) available on the Mobile Code Sharing Catalog. The toolkit includes reusable components for building and maintaining innovative Web sites that are accessible, usable, and interoperable. Developed as a collaborative open source project by the Government of Canada, the WET has reusable components that are open source software and free for use by departments and external Web communities. The toolkit complies with the new Standards on Web Accessibility and Web Usability; and will also ease compliance with the Standard on Web Interoperability. The Web Experience Toolkit is just one of the many pieces of open source code available on the Mobile Code Sharing Catalog hosted on GitHub. The Mobile Code Sharing Catalog was developed as part of the Mobile Application Development Program. 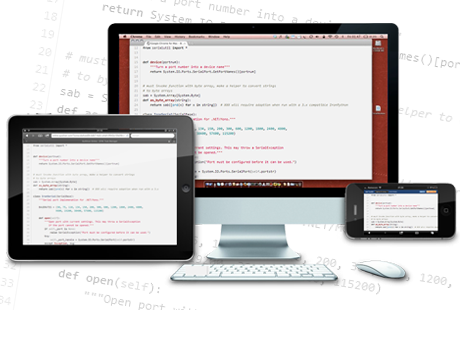 Developers can find and SHARE source code for native and web projects from a variety of sources. Are you a government mobile innovator with some code you’ve developed to share? Submit your code. Are you a developer who wants to tweak one of the existing government apps or modules? Fork the content and make a pull request. Are you looking to get involved in government mobile code sharing? Ask your questions.